Beauty Blog by Angela Woodward: What's the perfect Wash and Go Haircut? What's the perfect Wash and Go Haircut? Ah! The elusive wash and go haircut! I have had so many clients sit in my chair and say that this is what they want. Well the truth is, there isn't one. There are a few people who have normal hair density with a straight texture and they can just air dry their hair and go, but that is SUPER rare. And there certainly isn't a haircut that will magically make your hair hang in a specific way. 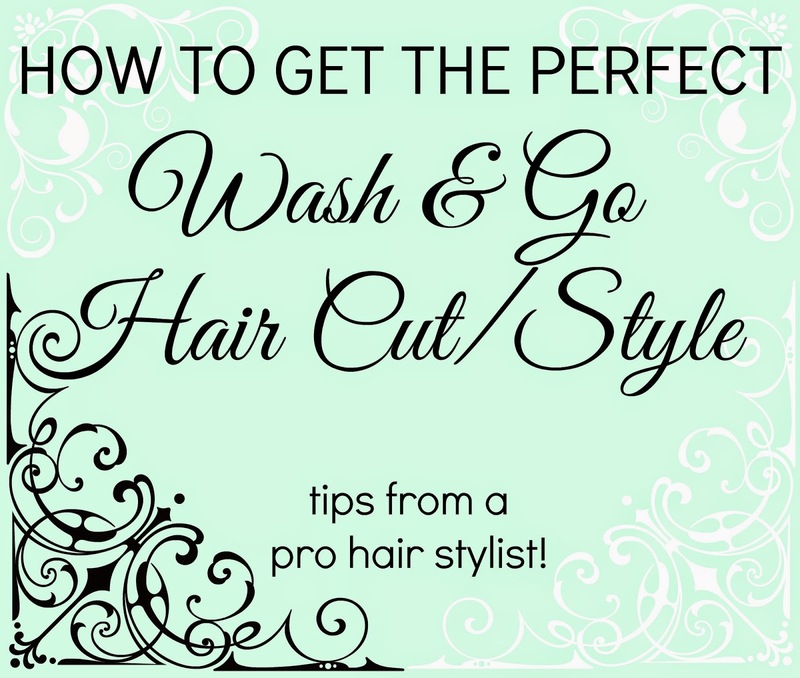 When you sleep your hair will move, when you drive your car your hair will lay differently, and after showing however your hair is positioned when drying will change the overall look when dry. The next question I usually get from clients when I say this "Well how can I get it to look like you do after blow drying it at home?" Simple, do what I do! I don't use Pantene Shampoo, Herbal Essences Hairspray and Suave Mousse on your hair do I? No, I don't. If I did then it wouldn't look like that. I invest in the products I use on you and myself. If you want to get the look I am giving you then buy the products I am using on you, invest in you. I always say you aren't spending money on vanity or beauty products, you are investing in confidence and in you. TIP: If you buy the products and try the technique I am using and it doesn't look right - PRACTICE! My first blow out on a client in hair school was a hot mess (and lasted over an hour)! It takes time, it takes practice and muscle memory. Rome wasn't built in a day and neither were my skills, and your wont be either. I did 2,000 hours of practice before I was even paid for my first client! It's okay if you don't get right on try one... or five. What does it take to be a Hairdresser?